Urologists had a problem. We solved it! Urologists agree instructing patients to obtain good "support underwear" results in low compliance. 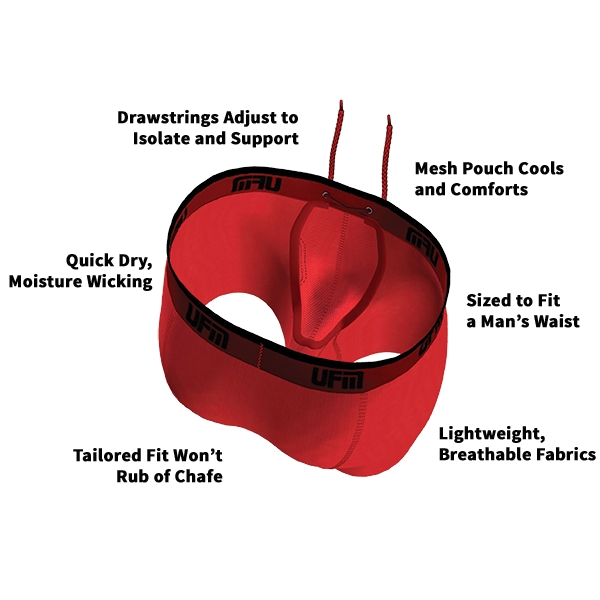 UFM Underwear For Men's innovative adjustable pouch underwear and global referral program provides patient convenience and improved compliance. Incontinence: Locks incontinence guards in place. No more leaking due to male guards shifting. Hernia: Certain Applications where scrotal support is recommended. Stop by booth # 6448 to learn more! UFM Orders received by 1:00 pm Eastern ship the same day with multiple ship methods ranging from 1-7 days. Urologists agree that vague instructions to "obtain good support underwear" results in low compliance. The UFM referral program provides patient convenience and improved compliance. UFM recommends Inclusion in general and pre-op instructions. For more information stop by booth 6759. If you can't make it to the show or we miss you, you can email us at sales@ufmunderwear.com for more information.